Welcome to FJOLA'S WONDERLAND !!! - Welcome in a world full of nail art, nails, polishes, designs etc. Here you gonna learn about what's new on nails world. This is my personal blog where whatever I love and come on my mind about nails, I'm gonna share it with you. I'm a nail artist and hope you enjoy, as I do, this journey to my wonderland!!! Lets talk about nails !!! Τι είναι το Fjola's Wonderland ? As I was searching on WAH NAILS SALON (cause if you want to be the best who have to learn from the best too) for a new trend on nail design,my eyes catch this really cool an funny nail art or hair art to nail art picture. I couldn't resist so I though it would be nice to share it with you and show how to recreate this nail design on your nails too. Come on girls is spring...It's time to put some happy colors on our nails. And these nails are colorful, happy and vivid!!!! 2. 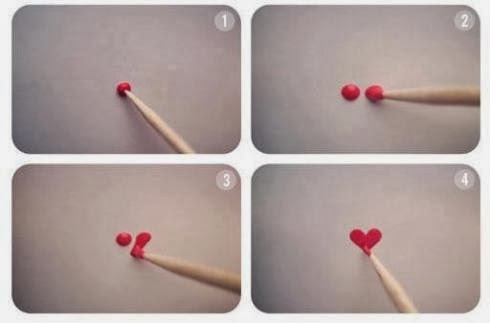 Do some yellow circles, let them dry a bit and with a toothpick do two small dots for the eyes and a "c"-curve line for a smile. 3. With a pinky nail polish or fuschia drw a heart (below I have a pic on how to do a heart ,if it is difficult for you).And with a toothpik or nail brush do some whit line. 4. For the dollar sign draw the letter "S" with a gold nail polish.Up and under the "S" draw some small lines. And your done !! !Something colorful ,easy and happy nail art!!! :):) Hope you like it !!!! Αναρτήθηκε από Unknown στις 7:45 π.μ. SOMETHING NEW !!! NEW PAGE !! !